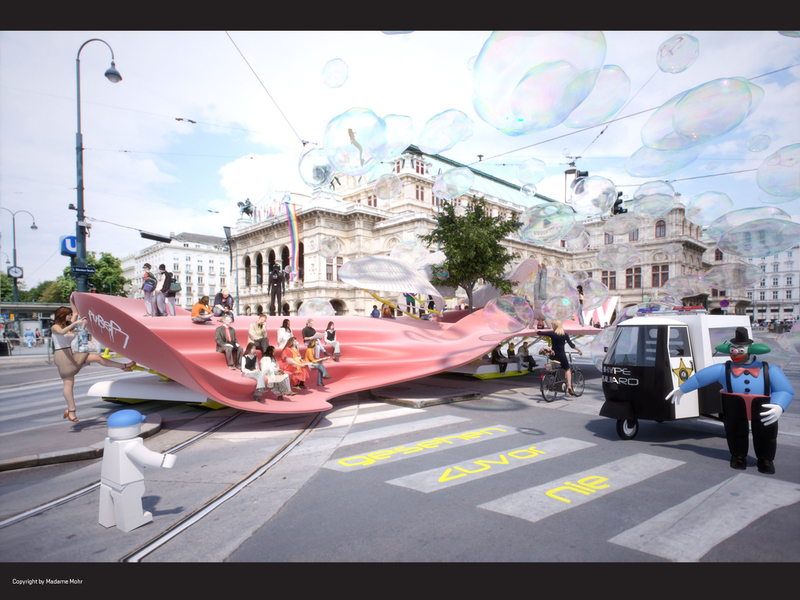 MADAME’s entry for the Departure “City Hype” competition is a moving Plaza that reclaims Vienna’s street space for creative public activities. 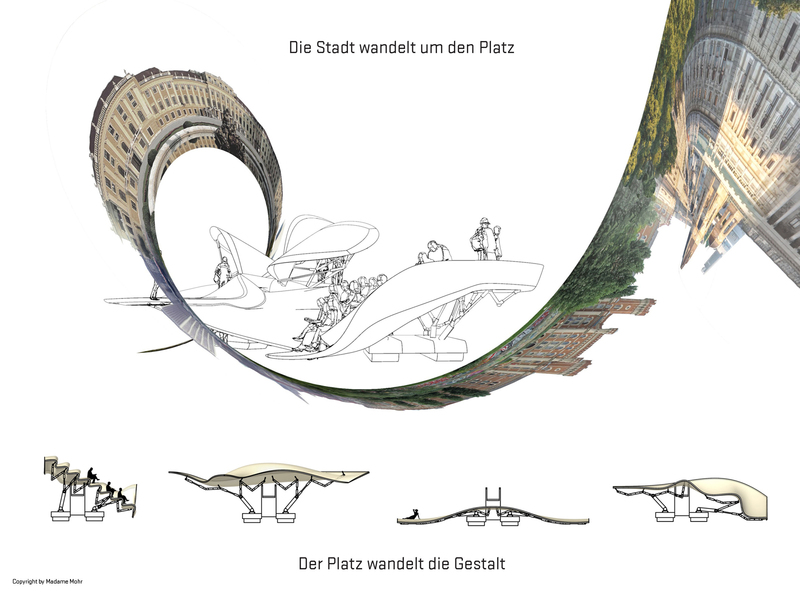 The flexible structure can accommodate a variety of events and keeps slowly but constantly moving along Vienna’s infrastructure. Guests of the Plaza might experience effects of the city moving around the Plaza. 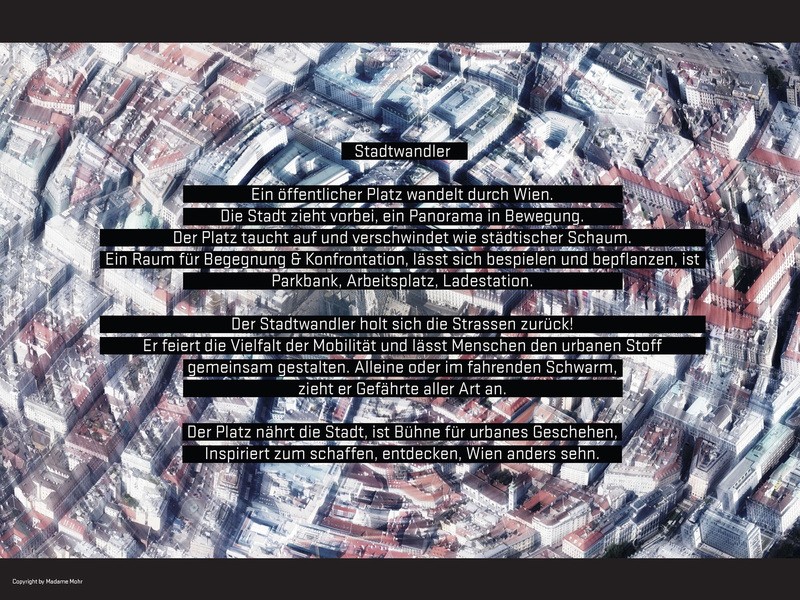 We call this Plaza “Stadtwandler”.